It is believed to be one of the Seven New wonders of the World. Mainly involves two countries, Kenya and Tanzania. The migration is primarily driven by the search of fresh pasture and water. And has been there for many years now. For you to enjoy this migration, you have to be conversant with the weather patterns and animals behavior. It includes calving, whereby hundreds of calves are born. This happens in the month of January on the Tanzania side, Serengeti National Park. Once they get a route, they follow through. The most interesting and famous part this migration happens between June and August. 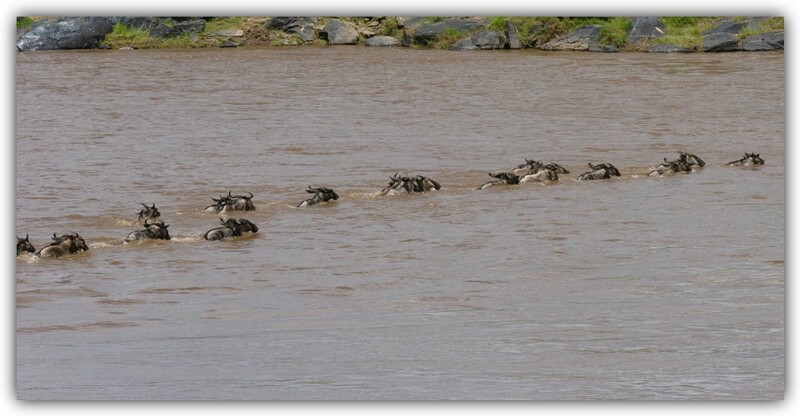 This is the time the animals cross the great Mara river , found in Kenya. 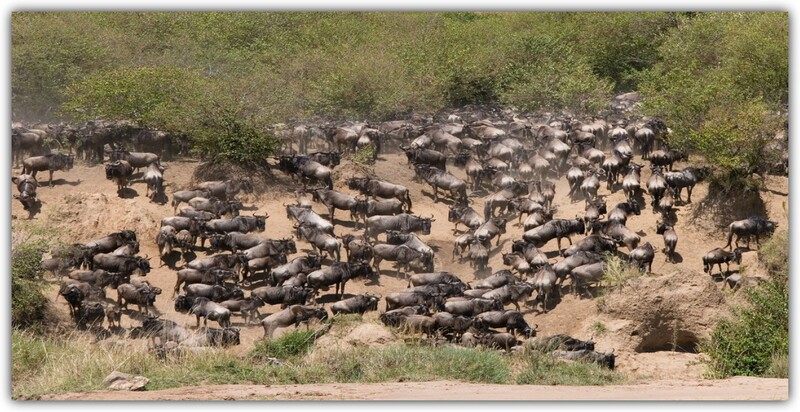 Despite being named Wildebeest migration, it also comprises of other animals. They include zebras, grant gazelles, eland, among others. Wildebeest are usually in big numbers hence the name. This migration involves over two million animals. And they have been migrating almost the same way annually. No two migrations are the same. Hence it would be great to enjoy it over few years to fully get something interesting out of the migration. So how do they manage to co-existence together? All the involved animals are social. They mark their territories and do not join or leave their groups. This arrangement is observed throughout the migration. Yes, they will migrate together but do it in their found groups. They will continue defending their territories. Ensuring no intrudes and safety of the group. This migration maybe fun to the tourists. But its a hard journey full of obstacles and death for the animals. The animals suffer several short comings during the journey and rule of nature prevails. Survival for the fittest is evident during this migration. Predators such as the lions, hyenas, cheetahs, leopards, crocodiles and many others anticipate for this migration. They are able to hunt easily , as prey are in large numbers. That Maasai Mara National Reserve is the home to the largest population of lions in the world. Amazingly, all the animals migrating do wait for each other. They do before crossing any water bodies. Once they are in good numbers then they go ahead to look for a good stop to dive into the rivers. They do so by roaming different spots at the riverside. Unfortunately, sometimes they can decide to just dive in from any side into the river. And start swimming across the river. Due to how they travel following each other. The ones behind just follow behind and rarely divert. Mostly they will avoid densely vegetated areas and deep waters for the fear of predators. Since such places act as best hide outs for predators. How many rivers do they cross? Many may think that Mara river in Maasai Mara Reserves to be the only river they cross. But that’s not true. Its one of the rivers that offers big problems during the migration. Mara river is home to one of the largest crocodiles and they are found in big numbers. Migration is an early Christmas to them. They are both found in Serengeti National Park, Tanzania. They are also few lakes found in Tanzania that they cross too. This migration attracts huge numbers of tourists into these two conservation areas. 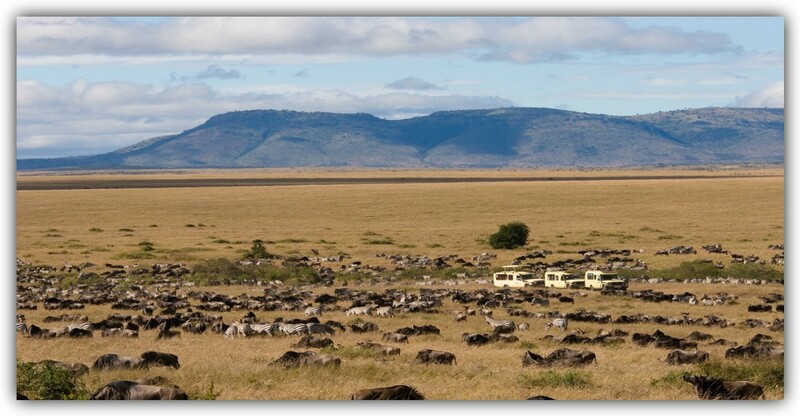 That is, Maasai Mara National Reserve in Kenya and Serengeti National Park in Tanzania. If left uncontrolled, this greatly affects both the vegetation and wildlife during the migration. Luckily,(in the Kenyan side) they are plans of some policy that will protect nature and wildlife from such. The policy will be on standards of vehicles permitted to access the reserve as well as control vehicle capacity during various seasons of the years. Vehicles and human traffic is one of the most dangerous threat our major conservation areas are facing. As a results , wildlife get stressed, their way of life get interrupted, vegetation destroyed and all kind of pollution experienced. We are yet to understand the importance of not interfering with wildlife’s privacy and allowing them alone time. They may be in the wild, but it almost in the same conditions as those in captivities like zoos. Tourists are always there from Monday to Monday and some parks even allow camping throughout. This creates problems if left unattended to in time. It’s wise enough to just drive away if you notice that there is already one or two vehicles near a lion who have just made a kill. Avoid driving off-road for a closer look at wildlife. All your need is good binoculars. Hence you and the wildlife are happy. You enjoy the view from a distance and get a chance to observe its raw behavior. Wildebeest migration is not the only amazing migration in Kenya. We also have humpback whale migration in Watamu beach, Kilifi. Details in the my next blog post. Me and my husband were just discussing this! 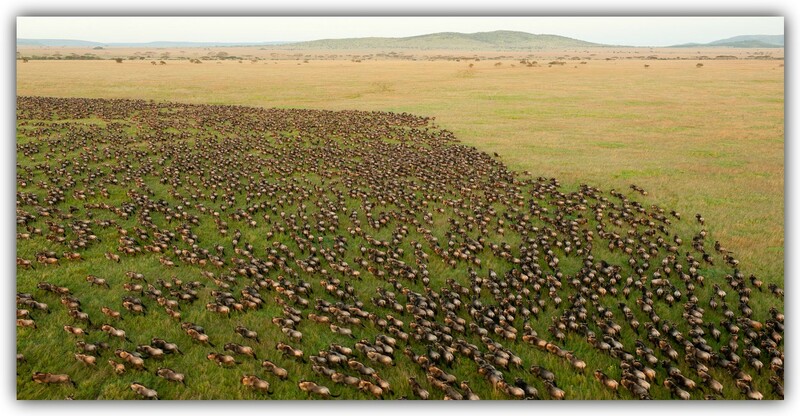 We hope to visit Tanzania next to see this migration! Its an amazing migration to witness in person. Join and be part of it as you enjoy each moment. Spectacular site with millions of animals. Many are killed by predictors and more are bone. Nature amazing ways of balancing its affairs. Its an amazing migration, you should experience it too . an interesting and educating post! Omg this was the best experience of my life, words can’t describe the wonder of it all. That’s right. Its one of a kind.